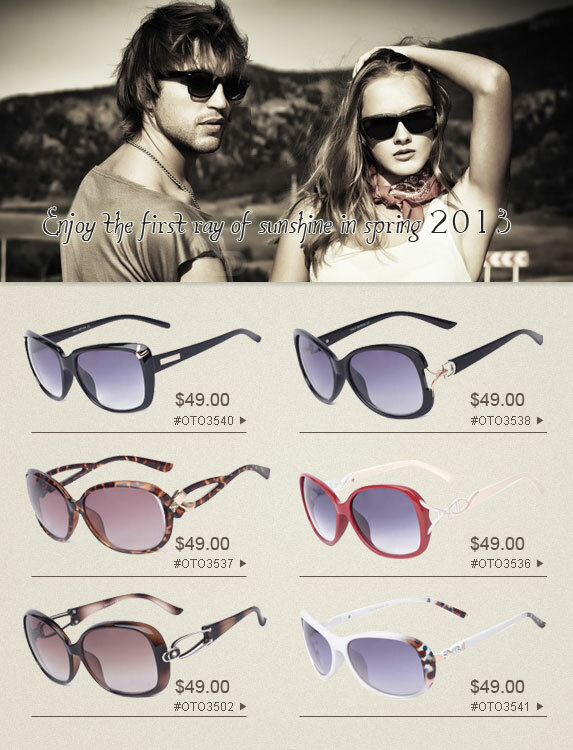 With the sun shining and the weather really starting to heat up, it's time to grab some new sunglasses. You can go for a conservative retro-chic look or something totally wild and colorful. Summer is coming so you will get a little more freedom than usual. Embrace it. Yes, Sunglasses have been a wide application around all groups of people. The main reason is that sunglasses play an important role in UV radiation protection. Indeed, millions of people around the world benefit a lot from the sunglasses. Why not find something not only useful but attractive as well? In comparison, wraparound sunglasses are a better choice for sunglasses because of their wraparound design. First, they will offer better eye protection by preventing UV rays from more than one angle, the front and the sides. Second, they can shield wind or other fine articles from reaching your eyes and cling firmly to your face. Third, they can make your face look smaller. Fourth, they will protect the skin around your eyes by covering larger parts of your face with their distinct shapes. All and all, these features undoubtedly make wrap round sunglasses an ideal choice for you to enjoy comfort and fashion at the same time. This is a sponsored post by Firmoo.com -- All comments made within the post are those of the company. I love my Firmoo glasses, they’re always great.